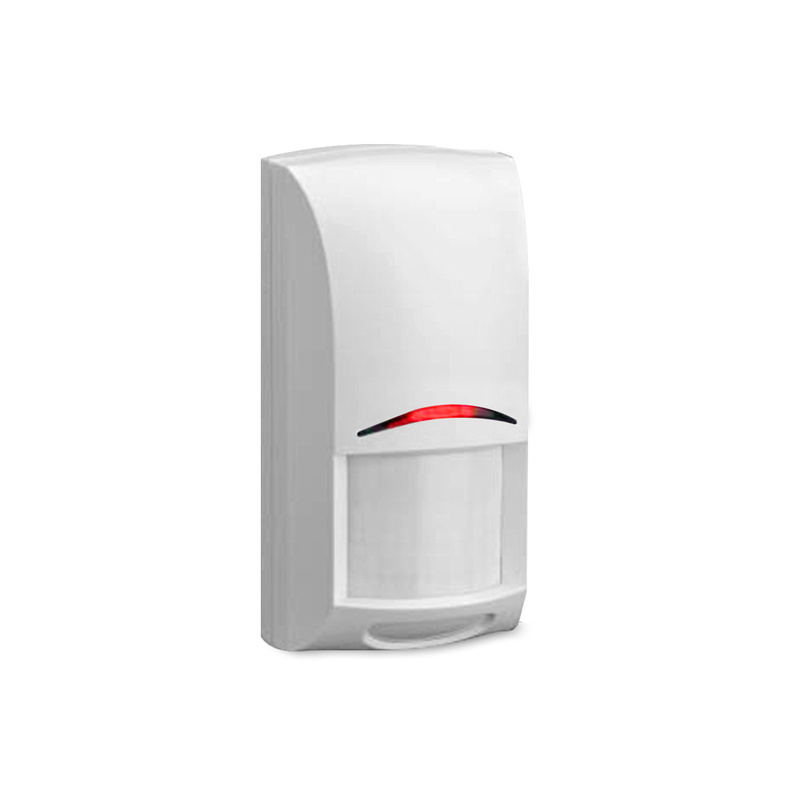 The Bosch Security Systems PIR Motion Sensor with ZigBee HA 1.2 support provides top of the line detection with 79 zones with in 8 layers of sensing area. With exclusive technologies such as Pet Immunity and First Step Zone Processing false alarms are eliminated. Easy installation and flexible mounting options make the sensor user friendly. NOTE: Packaging now includes a link to instructions on connecting your sensor to Samsung SmartThings. First Step Processing (FSP) allows virtually instant response to human targets without sacrificing false alarm immunity to other sources. By adjusting its sensitivity based upon signal amplitude, polarity, slope, and timing, FSP eliminates the need for the installer to select the sensitivity level for the application. The detector is able to distinguish between signals caused by humans and signals caused by one or two animals with a combined total weight of 14 kg (31 lb). This provides resistance to false alarms while maintaining proper catch performance of human targets. The sealed optical chamber reduces false alarms from drafts and insects. Automatically monitors the ambient temperature and adjusts the signal processing to maintain proper catch performance in critical temperature ranges. ZigBee Home Automation 1.2 technology establishes a standard approach for wireless products worldwide. Home automation solutions can take advantage of a consistent wireless communication technology which offers unprecedented benefits in operational reliability, control, convenience, and security. A smartphone or tablet with the SmartThings App. Using a computer or tablet is recommended during setup for easier navigation. Have your Sensors ready to pair out of the box by following directions 1-7 before they arrive! Sign in to your SmartThings Developer API account. In the Developer API, go to My Locations, click your location name, and sign in. Click the My Device Handlers tab. Click the "Create New Device Handler" link located on the upper right of the page. Click the "From Code" link located on the left side of the page. Copy the update code from this page. Paste the copied code into the text box on the Developer API web page, click "Create", click the "Publish" button, and select "For Me". If you see the message "Device type published successfully." then you may close the Developer API browser window. Use the SmartThings App to search for and install your motion sensor(s). Sit back and relax knowing your home is now protected by the ISW-ZPR1-WP13 Wireless PIR Motion Sensor from Bosch Security Systems! Visit our Connecting your Bosch ISW-ZPR1-WP13 Wireless PIR Motion Sensor to SmartThings blog post for assistance. Compliance FCC, IC, ANSI/UL, ULC Std. Synopsis: Learn the basics of home automation; the benefits, what you'll need to buy, the ease of setup, and how MyDigitalDiscount.com can help get you started for less! Synopsis: Follow these step-by-step instructions to connect the Bosch ISW-ZPR1-WP13 Wireless PIR Motion Sensor to your Samsung SmartThings Hub.